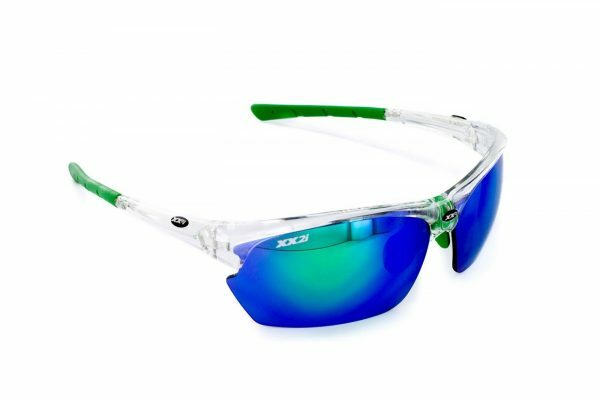 The France 2 is a fantastic half frame performance option for cycling, triathlons, running, and just running errands in town. With interchangeable temples, nosepieces, and lenses, they are incredibly stylish and customizable. Backed with a 365 day trial period and a lifetime warranty on frames and lenses they cannot be beat. Each sunglass comes with a hard case, lens wipe, extra temple and nosepieces as well as a sunglass multi-tool. Fully Rx-able and available with multiple lens in the single race kits and multiple frame kits. NOTE: if you see something on XX2i that we do not have listed please contact us and we can place a special order for you.